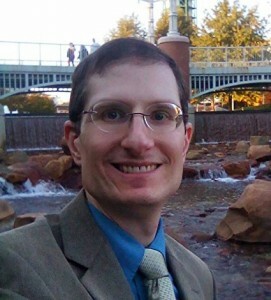 Michael David Cohen, editor of the James K. Polk Project, is a research associate professor of history at the University of Tennessee, Knoxville. He received his Ph.D. from Harvard University. Dr. Cohen has published essays about Polk in The New England Quarterly, The Federalist, and Scribner’s America in the World, 1776 to the Present. He appeared in a radio documentary about Sarah Childress Polk, the president’s wife, on the Voice of America and delivered the 2016 Annual Presidential Lecture at Northwestern Oklahoma State University, Alva. Before joining the Polk Project in 2009, Dr. Cohen worked at the Papers of Elizabeth Cady Stanton and Susan B. Anthony at Rutgers University. He is the author of Reconstructing the Campus: Higher Education and the American Civil War (University of Virginia Press, 2012), which won the 2014 Critics’ Choice Book Award from the American Educational Studies Association and the 2014 Linda Eisenmann Prize from the History of Education Society. Recently he published an article in The Good Society about the American Woman’s Republic.